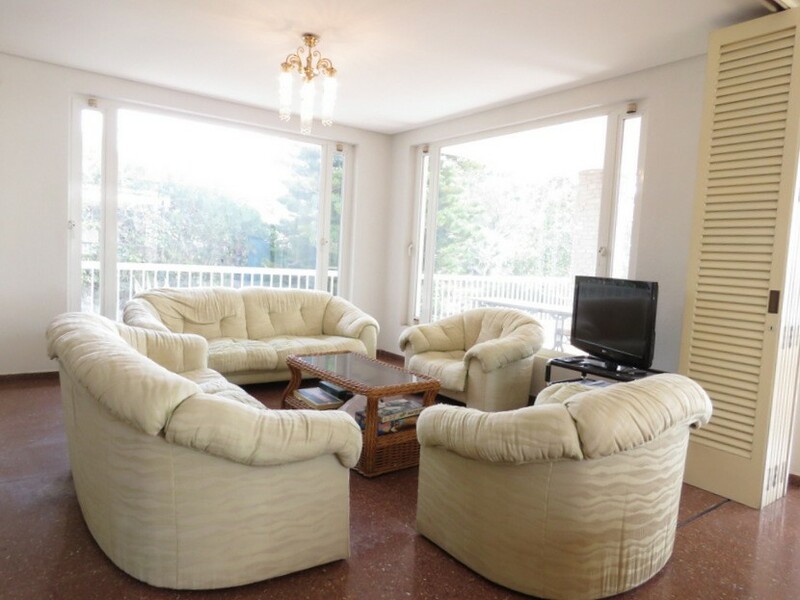 Located on popular urbanisation with 24h security. 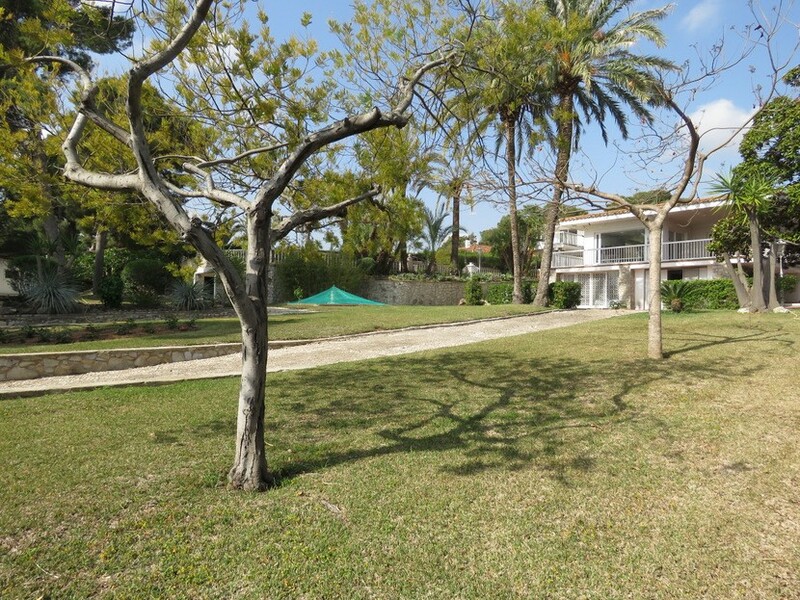 Amazing 20 x 7 metre swimming pool. 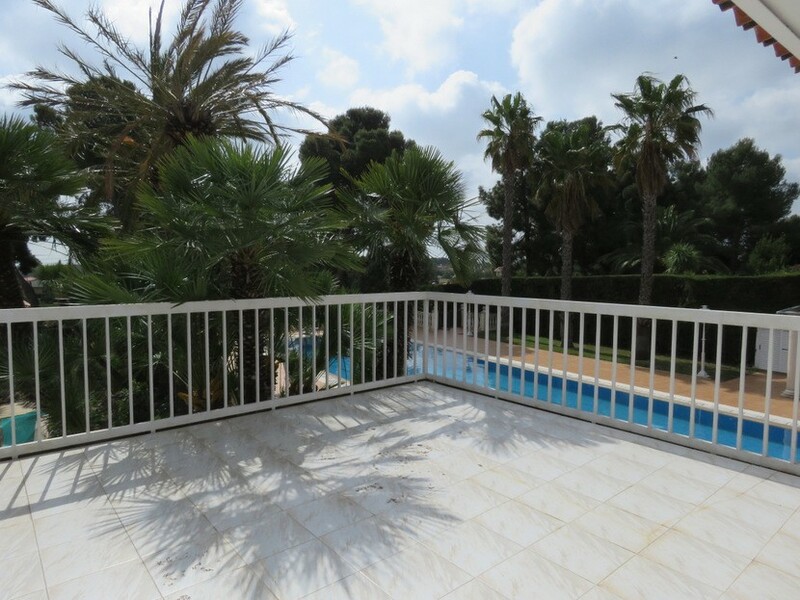 Great views; you can even see the sea! 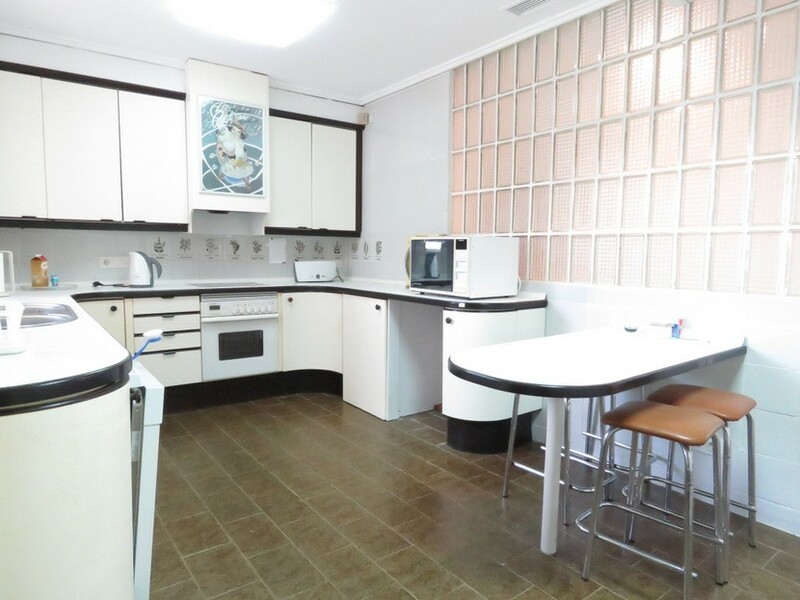 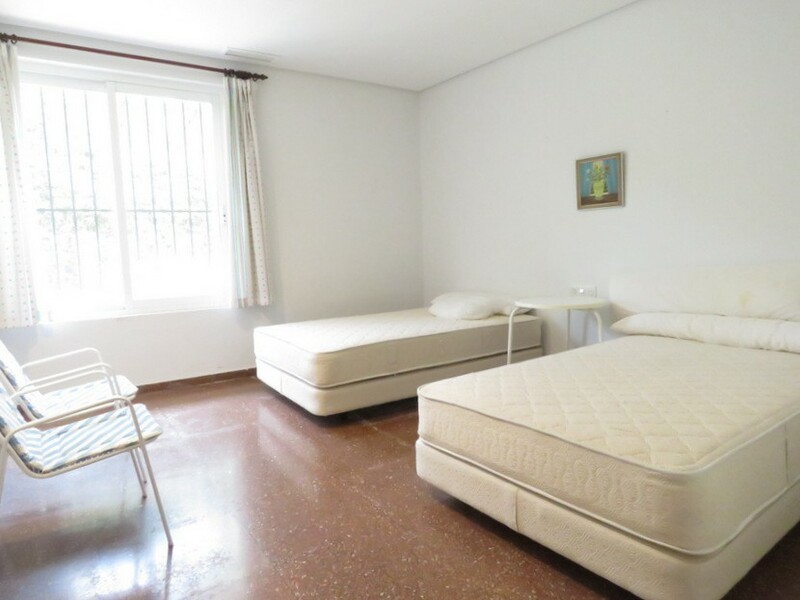 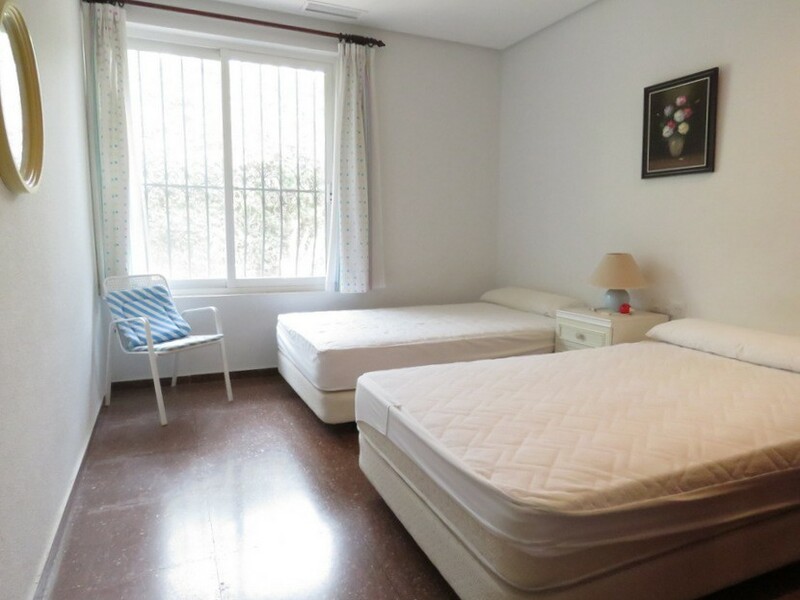 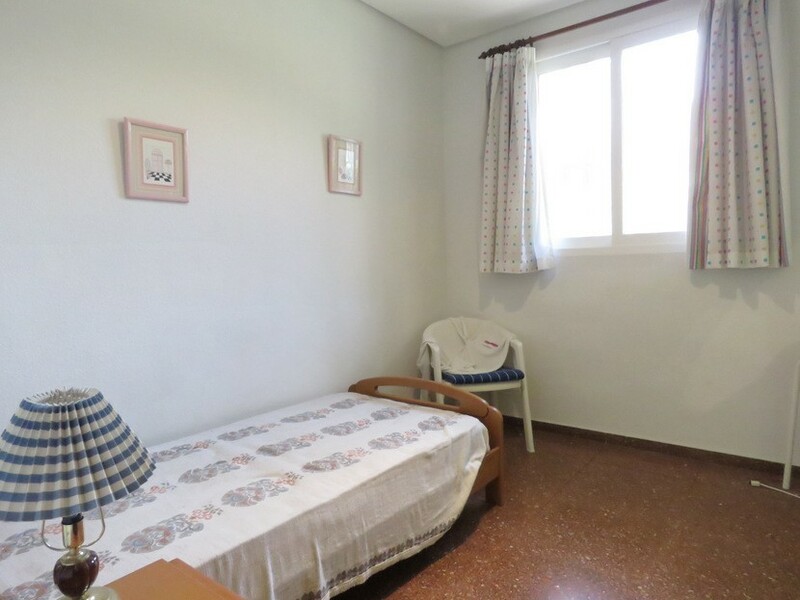 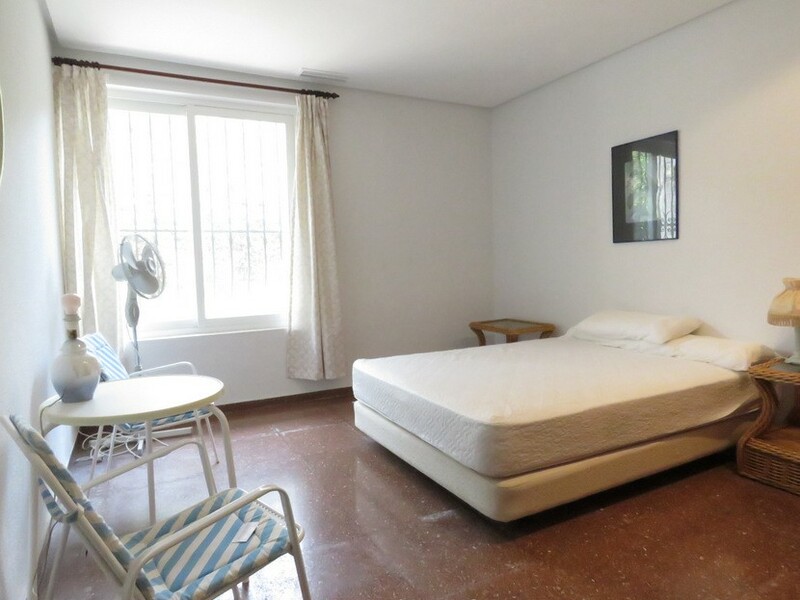 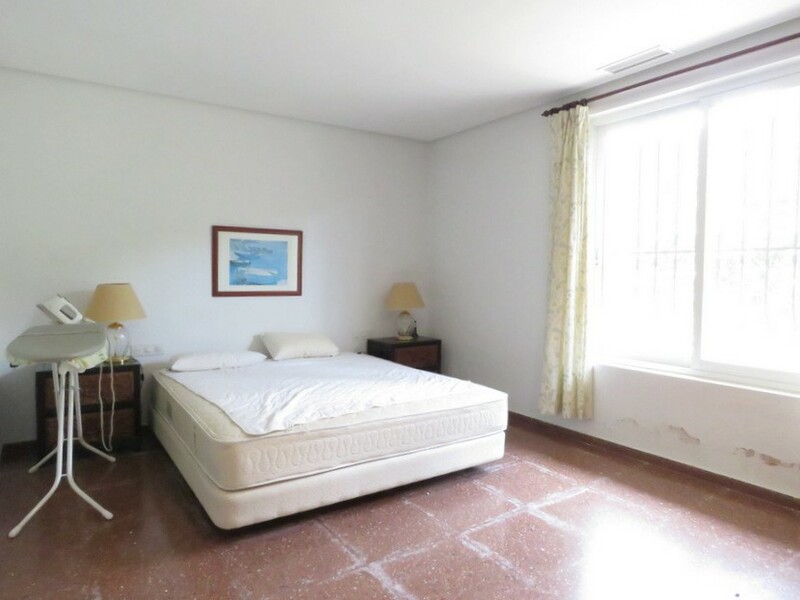 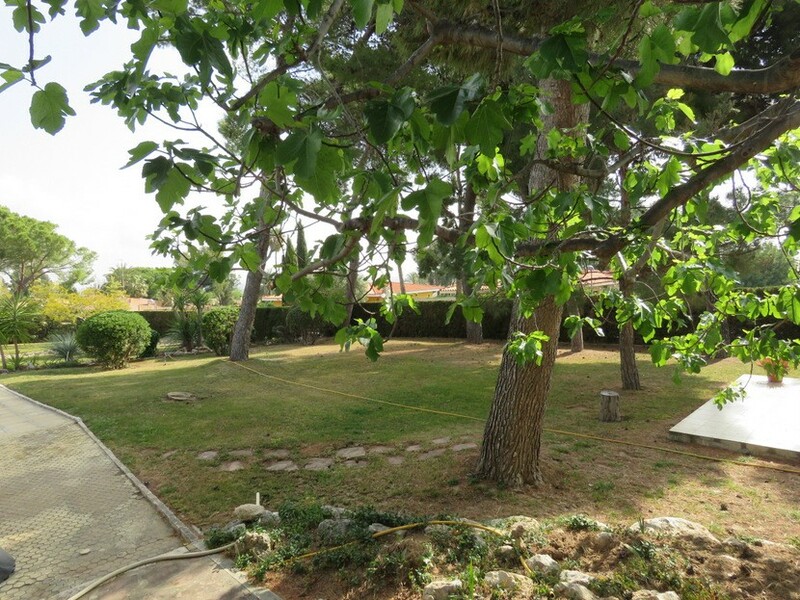 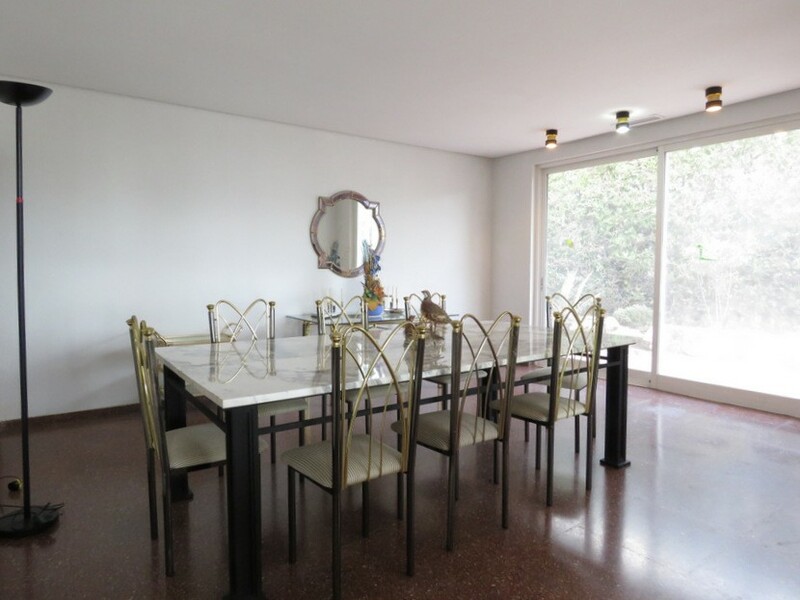 Situated 25 minutes from Valencia city centre. 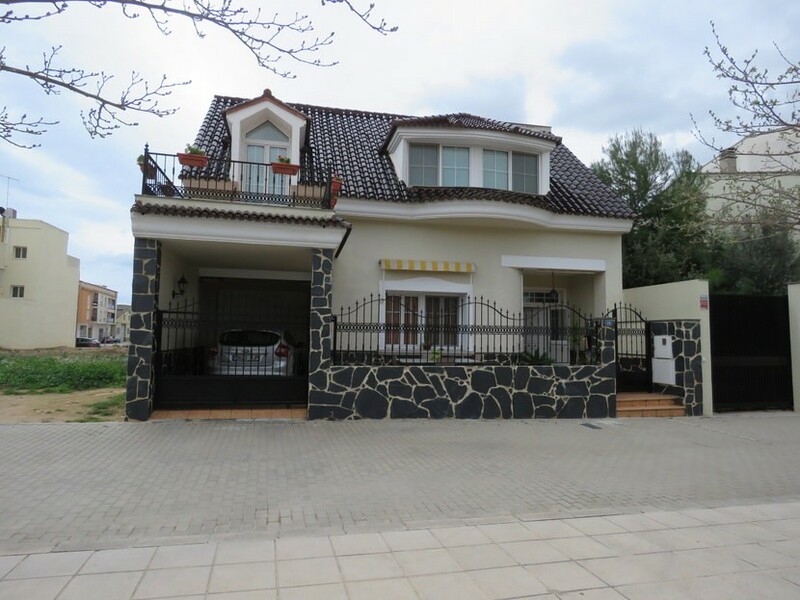 Reduced from €550,000 to €445,000 – This incredible 7 bedroom, 3 bathroom villa is situated on the upmarket Tancat de L´Alter gated urbanisation with 24 hour security in Picassent, Valencia. 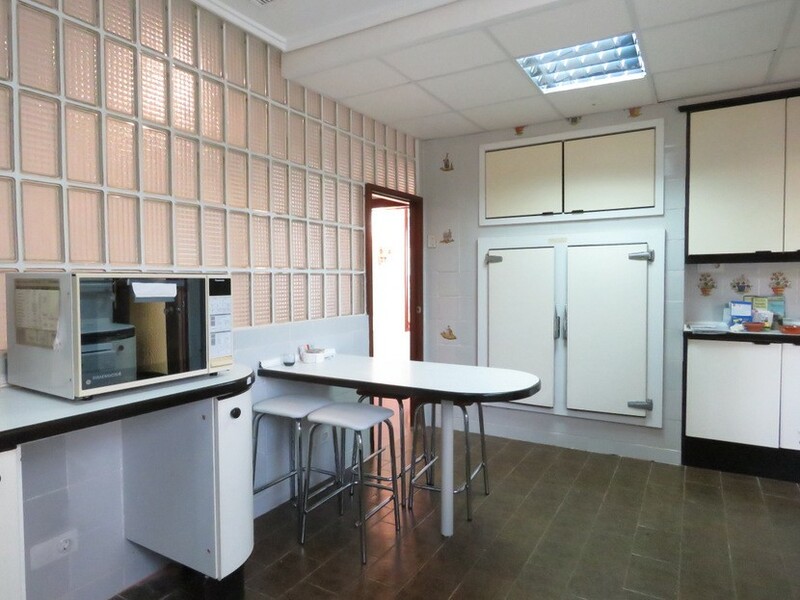 The area is extremely popular with families due to its proximity to renowned international schools and a variety of shops and services located in Picassent town centre. 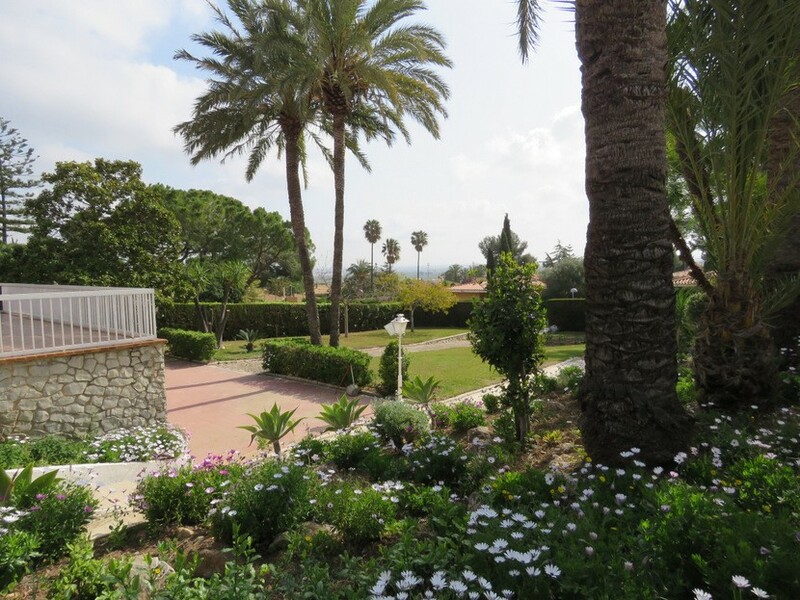 There is even a metro line here which links the area to Valencia city centre (20km away), its beaches and airport. 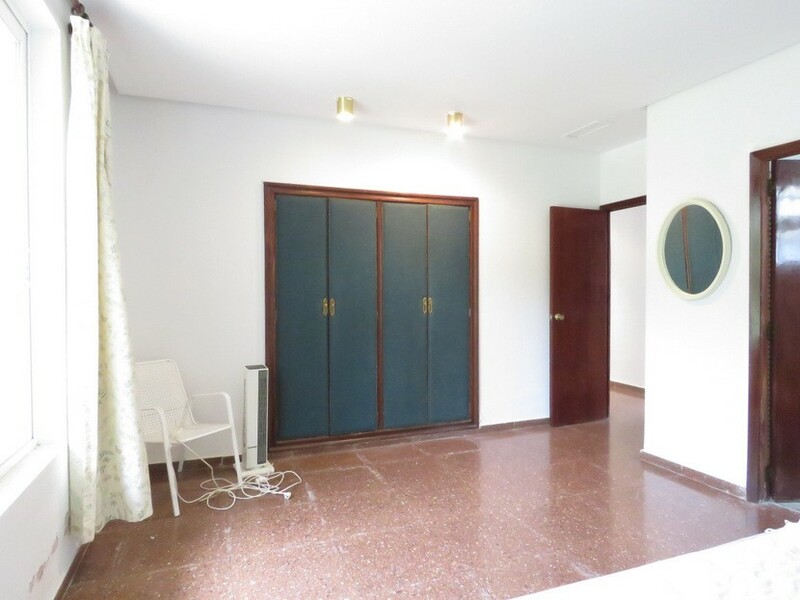 As we enter this property through the front door, we are immediately greeted with a good-sized entrance hall with a built-in wardrobe for storing coats and shoes. 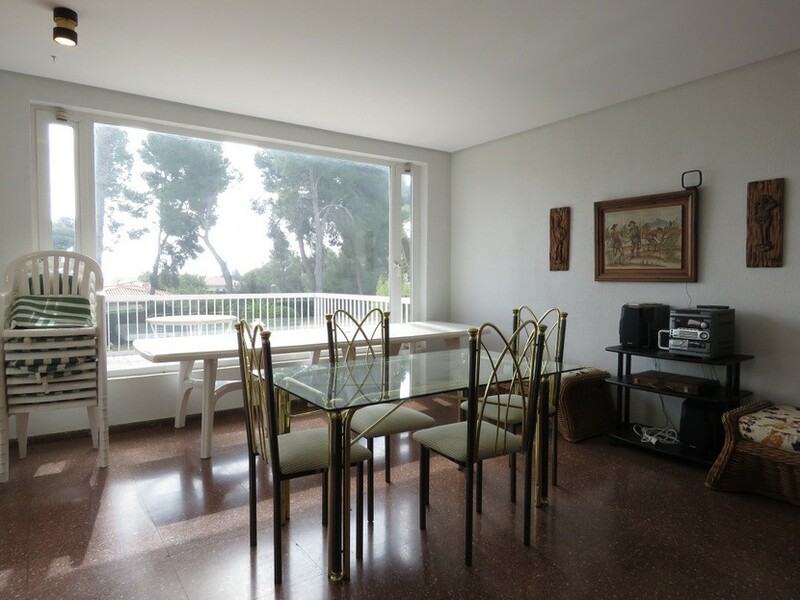 Leading off from there to the right is the open plan living come dining room, which is flooded with natural light, thanks to the various sets of sliding patio doors that open onto the spacious, elevated front terrace, which provides an ideal space to enjoy al fresco dining during the warmer summer months. 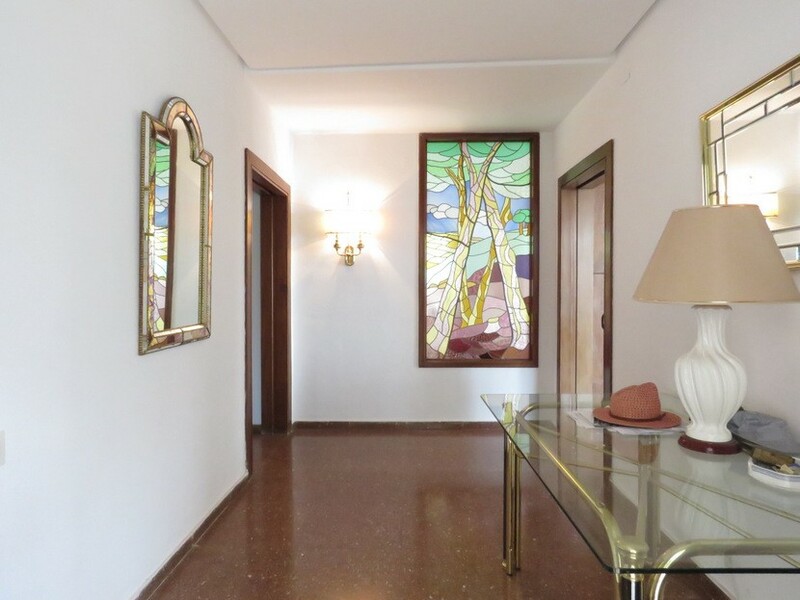 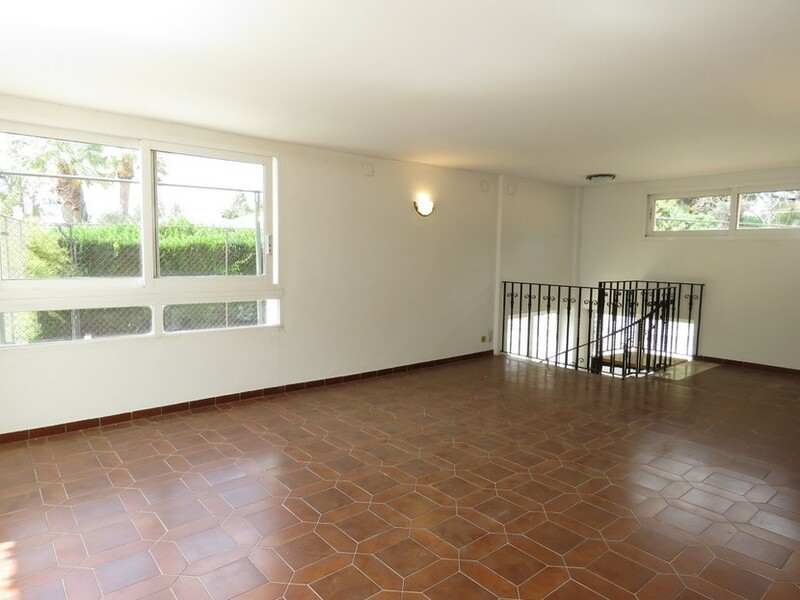 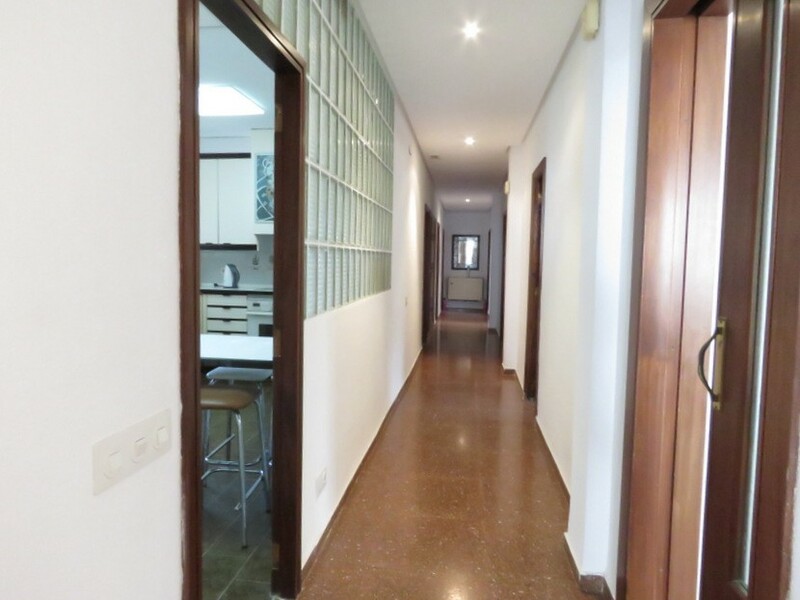 Making our way back through to the entrance hall and along the corridor which leads through to the rest of the house and we find the fitted kitchen, equipped with all necessary appliances, an adjoining utility room and indoor paellero cooking space. 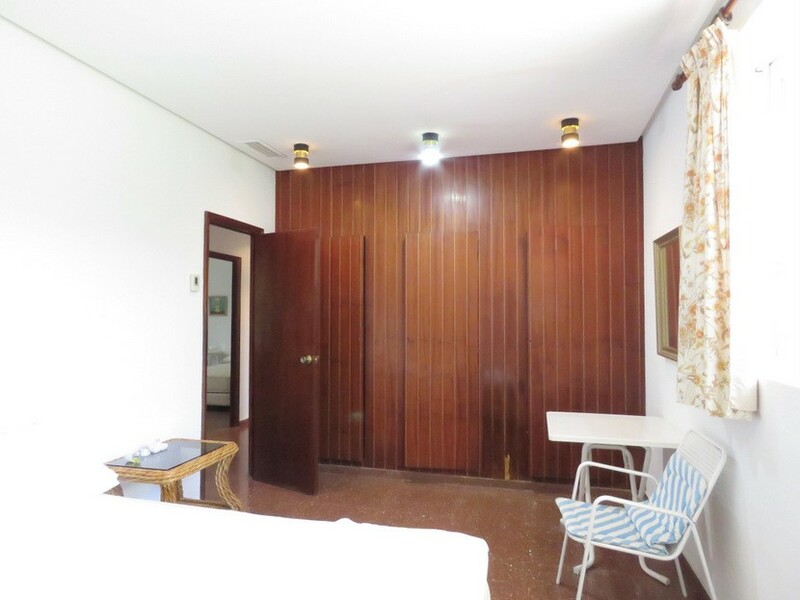 Further along the corridor we find the six bedrooms, of which 5 are doubles and one is single. 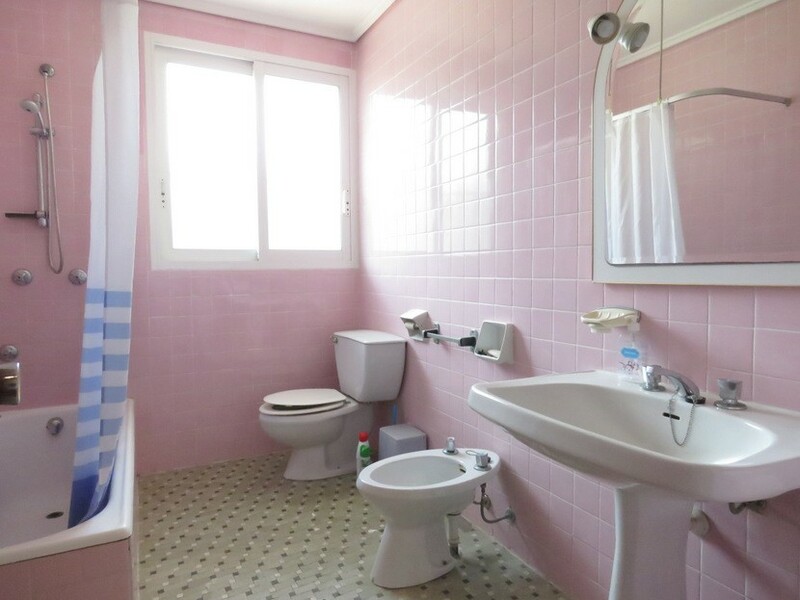 The master bedroom to the rear of the property comes complete with a private ensuite bathroom, fitted with a bathtub and shower fittings, sink, toilet and bidet. 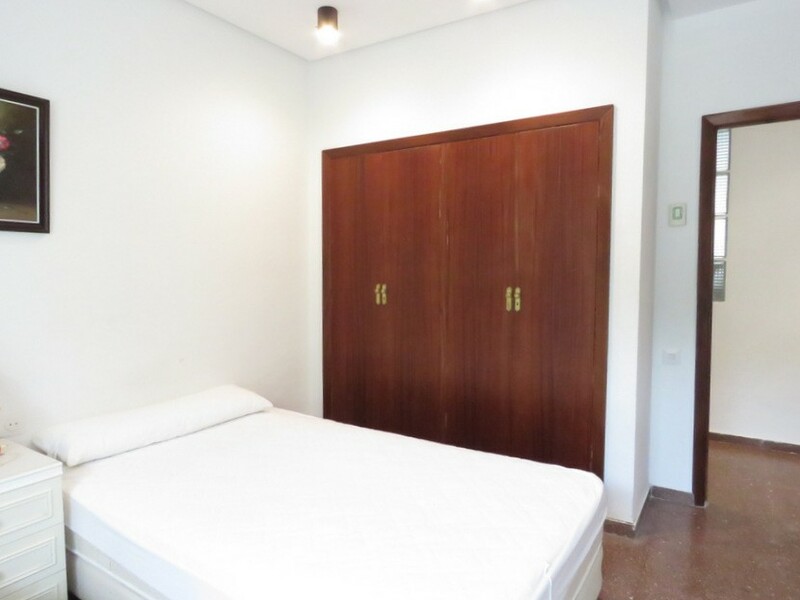 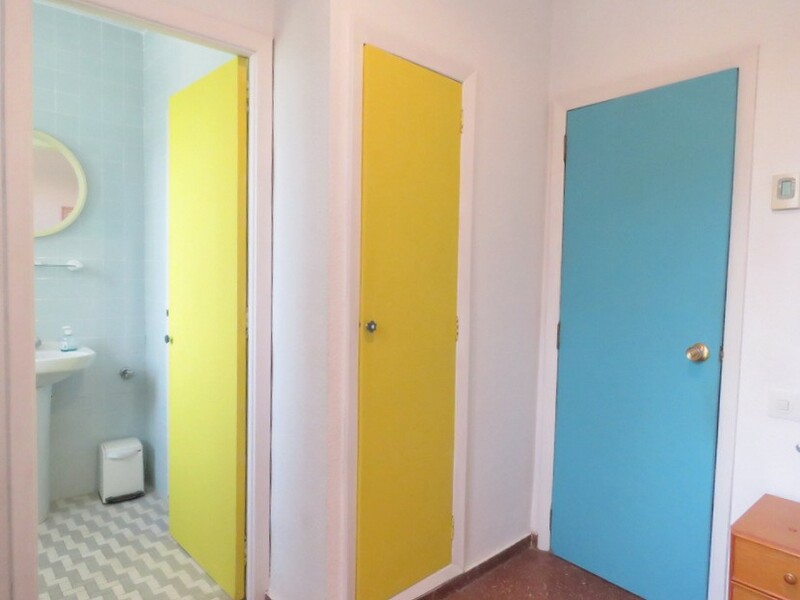 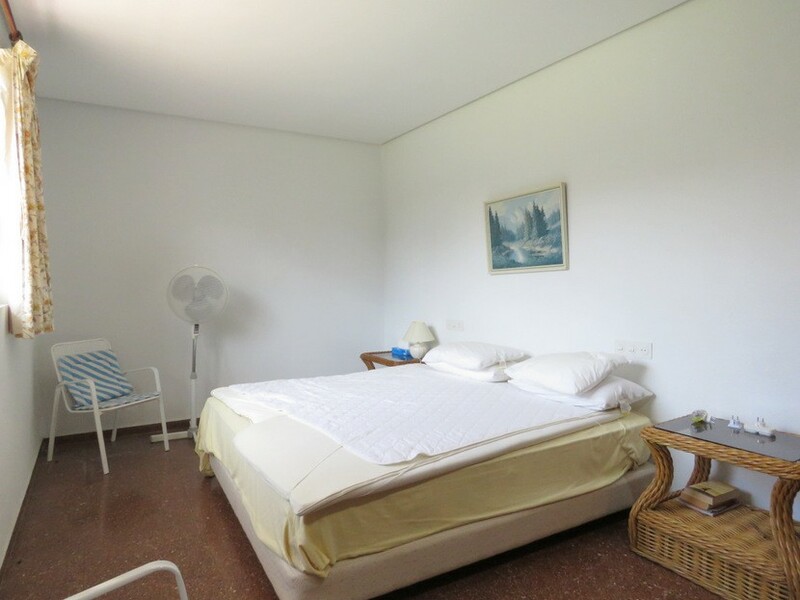 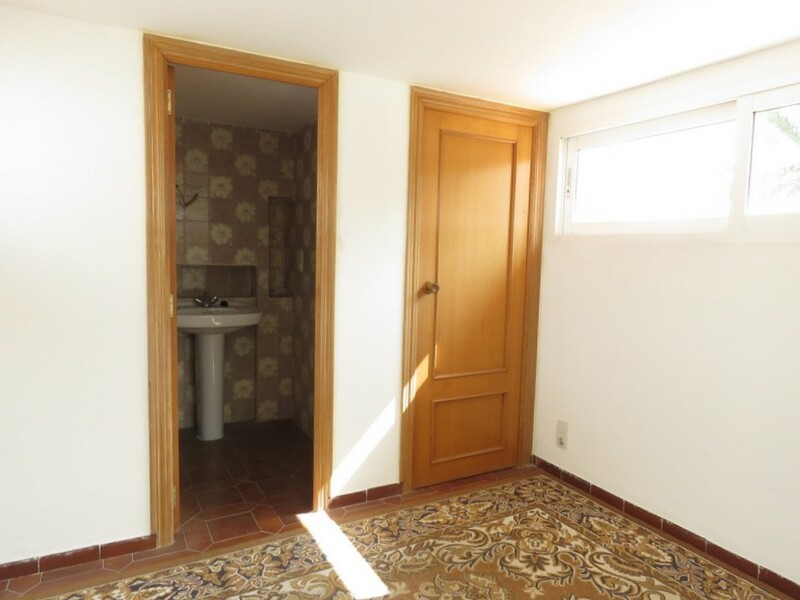 The single bedroom also boasts it´s own private ensuite bathroom and is equipped with a shower cubicle, sink and toilet. 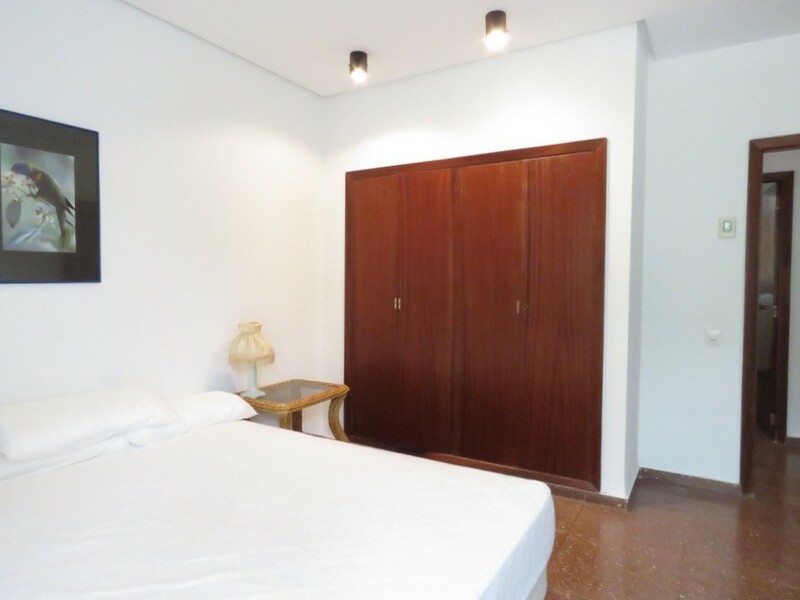 All bedrooms benefit from built in wardrobes. 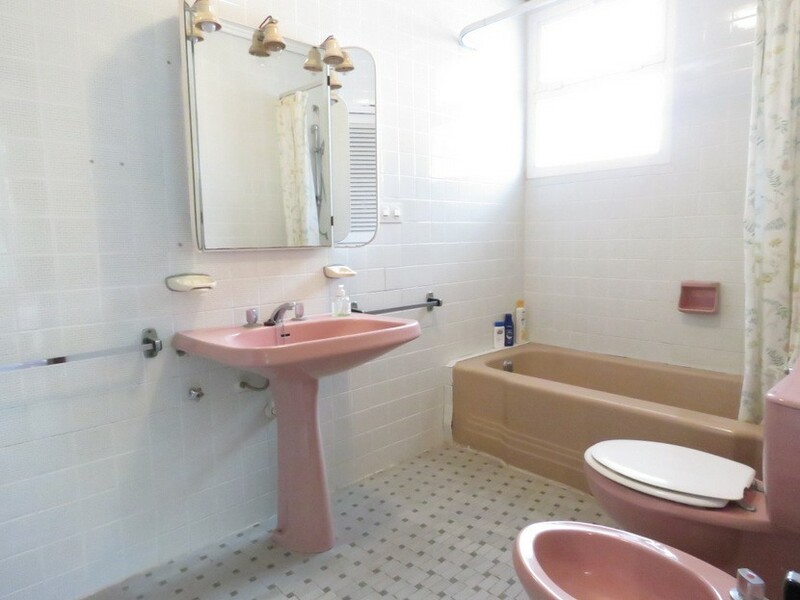 Finally, we have the third bathroom suite, again fitted with a bathtub and shower fittings, sink, toilet and bidet. 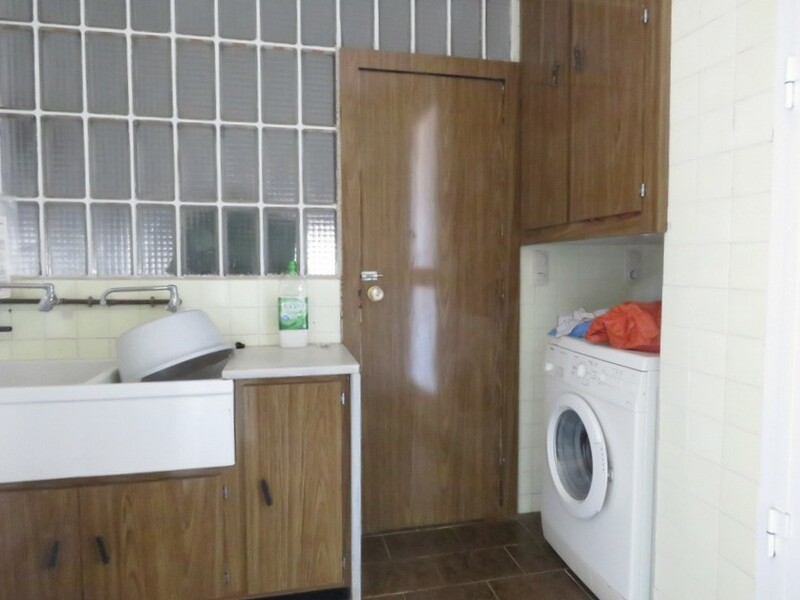 All bathrooms and the kitchen would benefit from some modernisation. 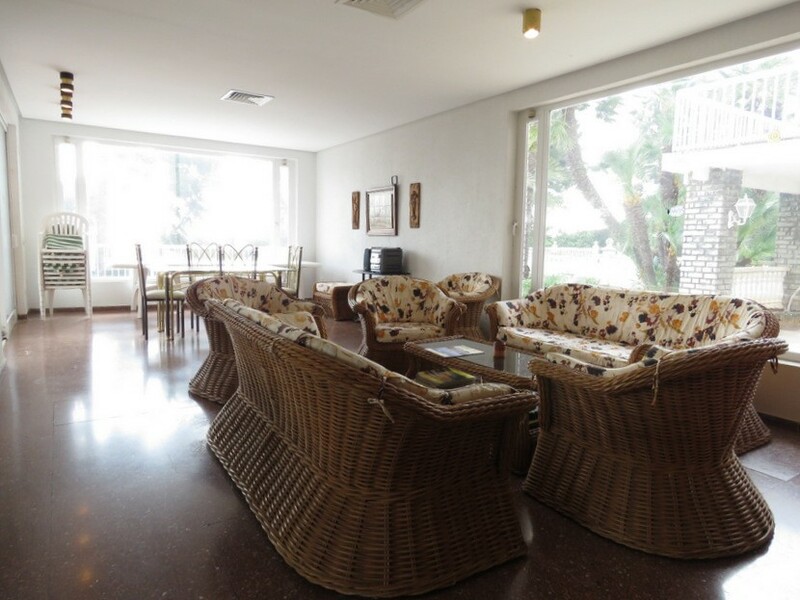 The entire property boasts an integral air conditioning system through air vents, which help to keep the place cool in summer and warm in winter. 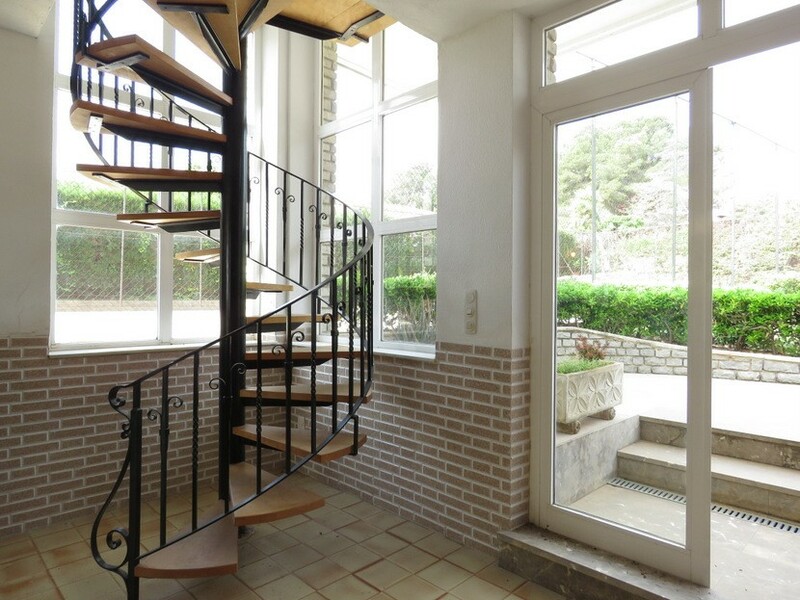 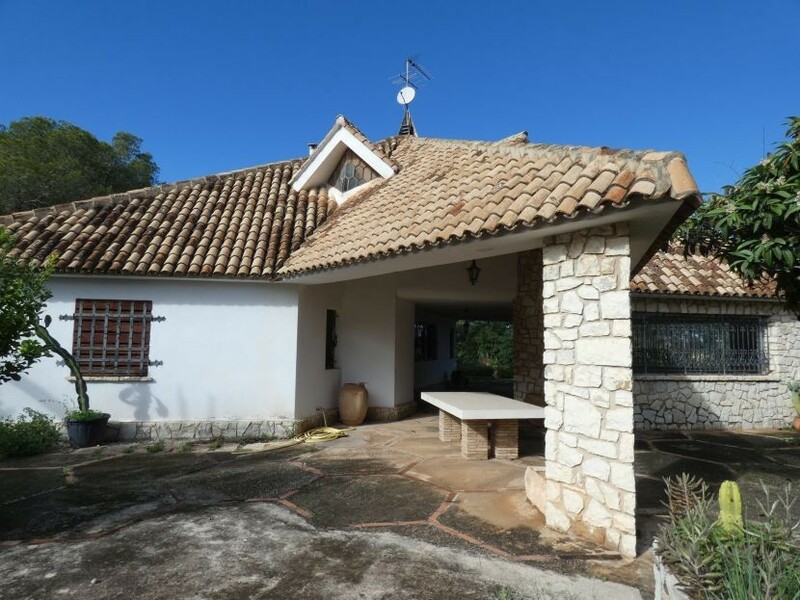 Attached to the main property are the independent living quarters, which comprises of a spacious room on the ground floor, which could be used as a second living room and a bedroom on the first floor, accessible via a spiral staircase. 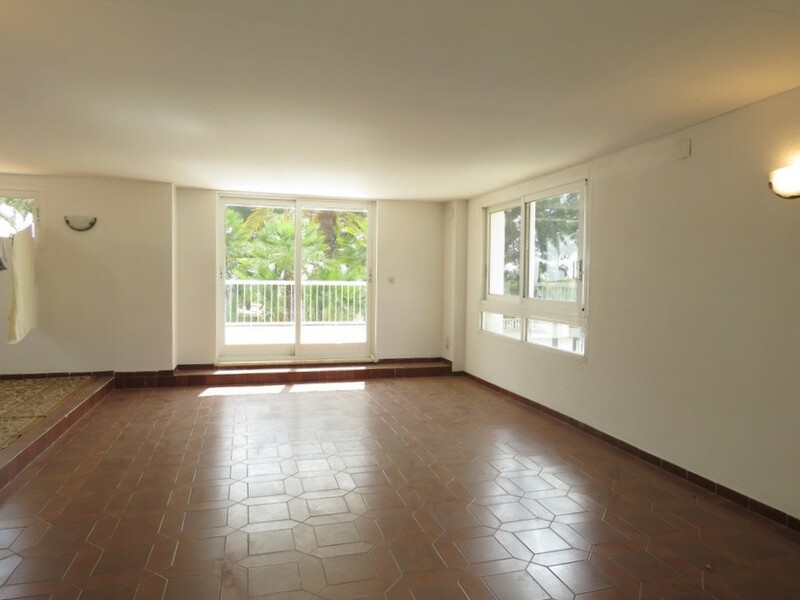 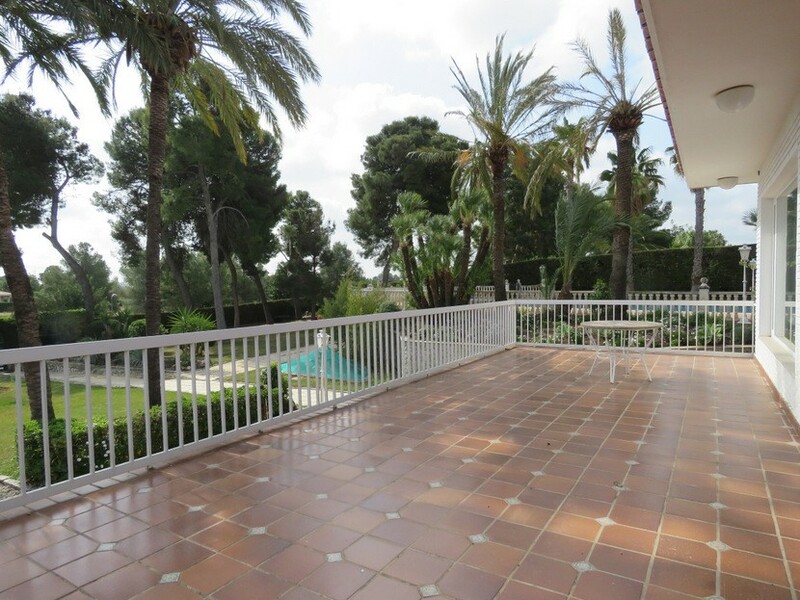 This large bedroom has patio doors to the front, which open onto a second elevated terrace. 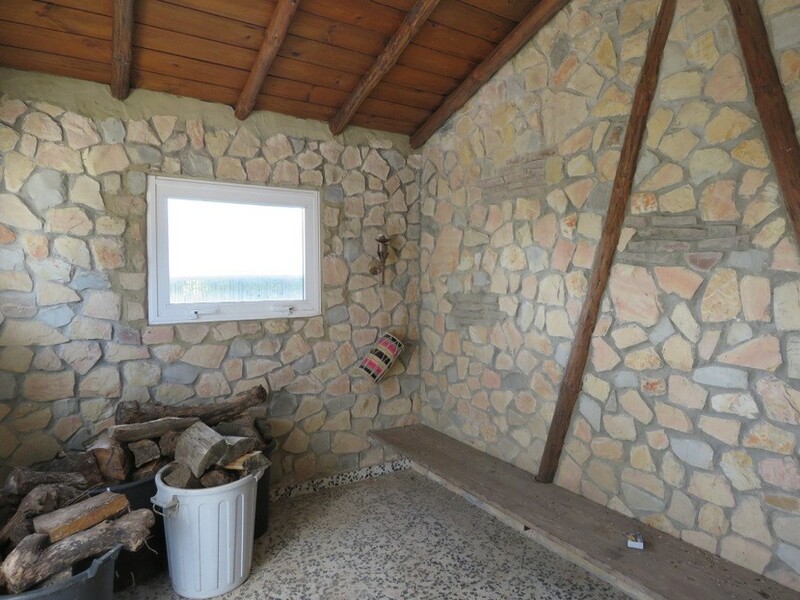 From here you can even see the sea! 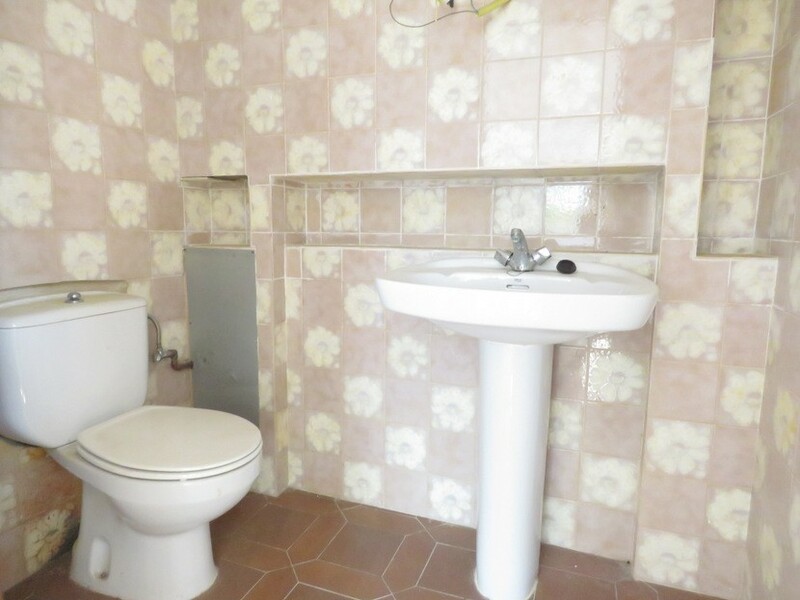 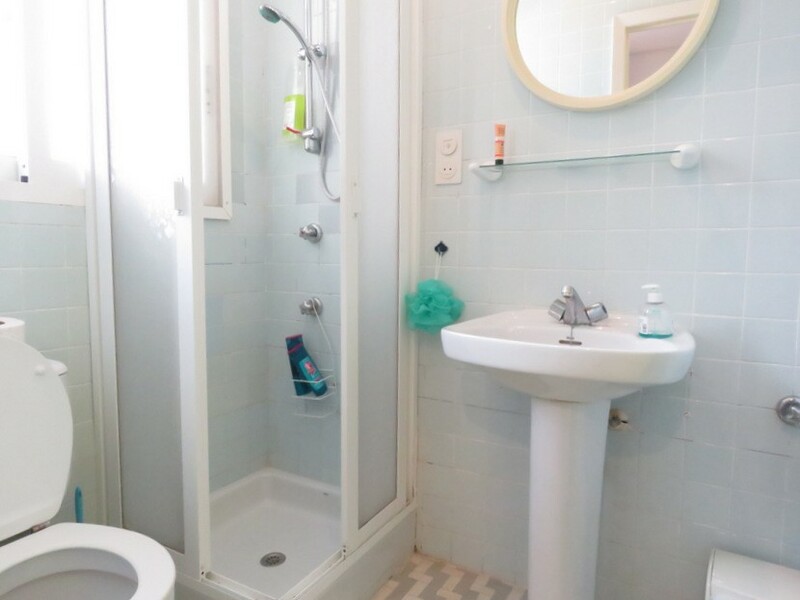 Next to the bedroom is a guest toilet and a room which is currently being used for storage, but that could have a shower installed, to make this space have its own complete bathroom suite. 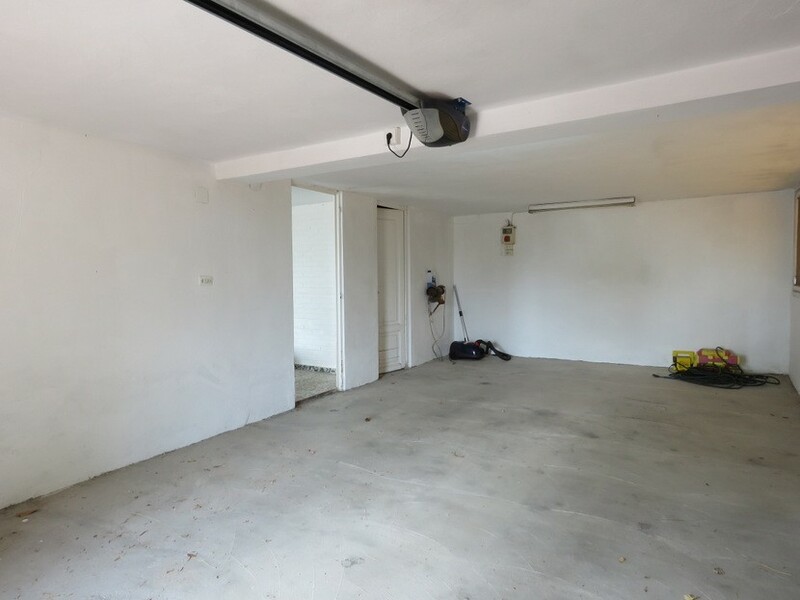 Underneath the main property, we find the integral garage, with motorised door and space for two cars. 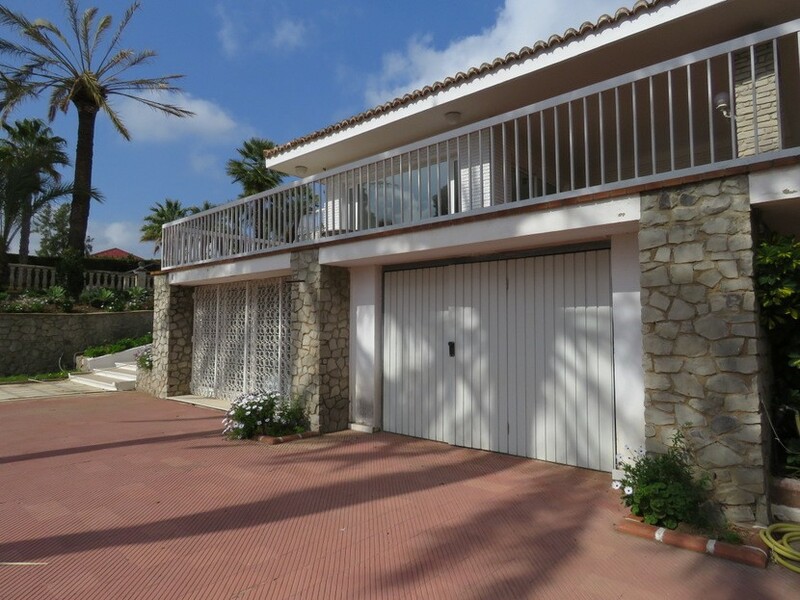 Leading off from the garage are a further two rooms; with the one to the rear being used for storage and as a wine cellar and the one to the front, having sliding patio doors which open onto the property´s expansive plot. 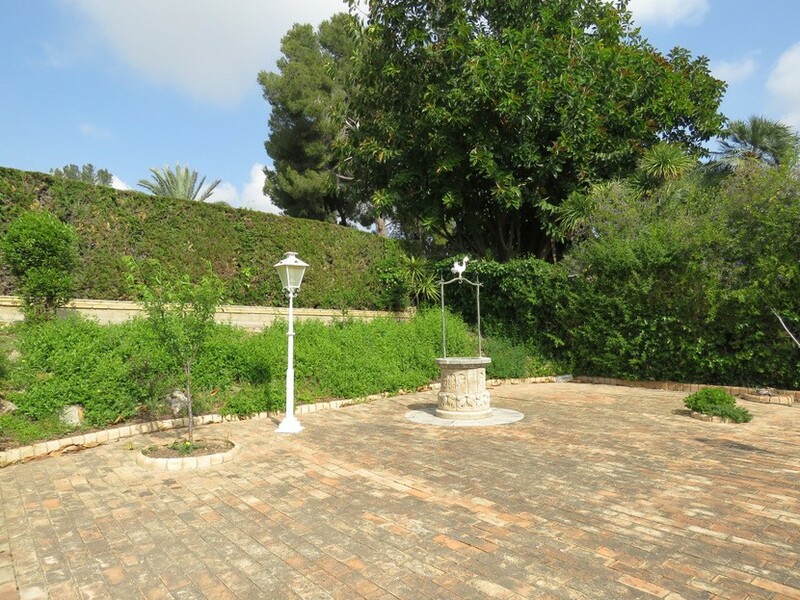 Outside and we have perhaps the most remarkable feature of this property; the sprawling 3398m² plot which is perfectly maintained and full of plants, flowers and fruit trees, native to this Mediterranean region. 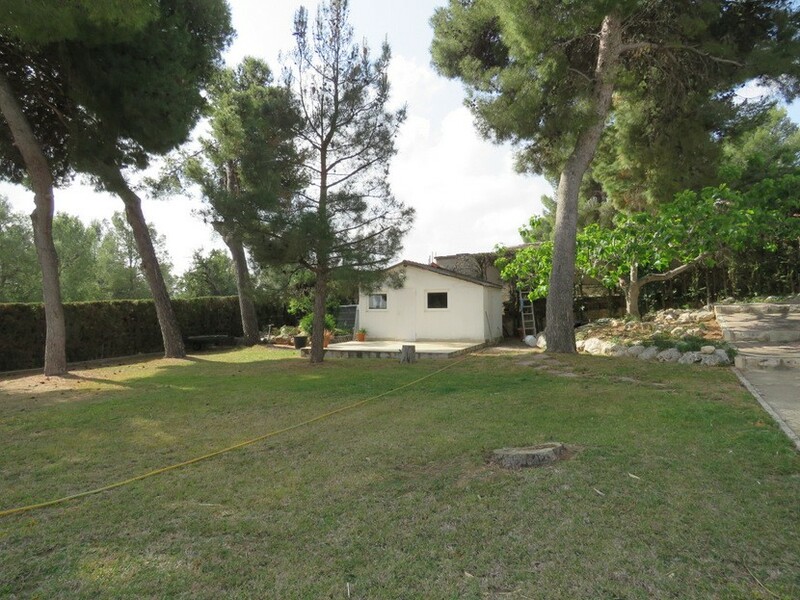 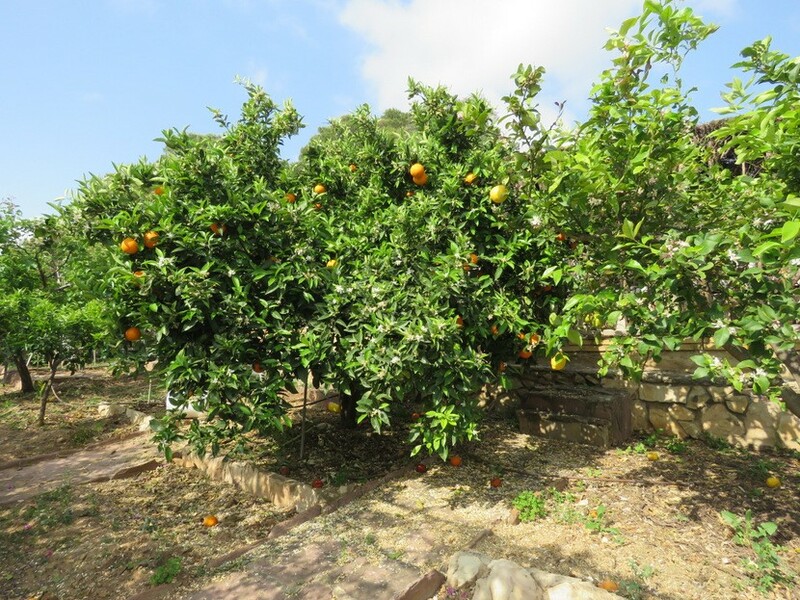 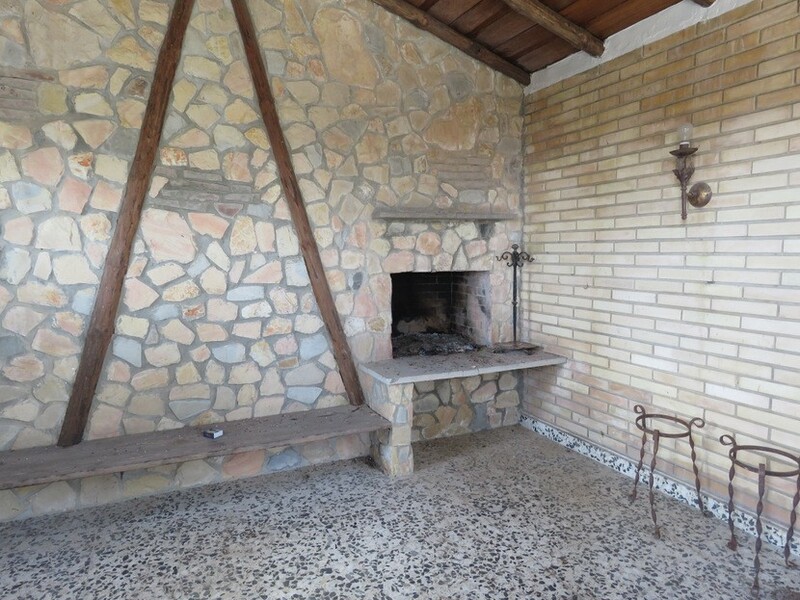 At the front of the plot we have an outbuilding, which is home to the property´s outdoor paellero cooking area. 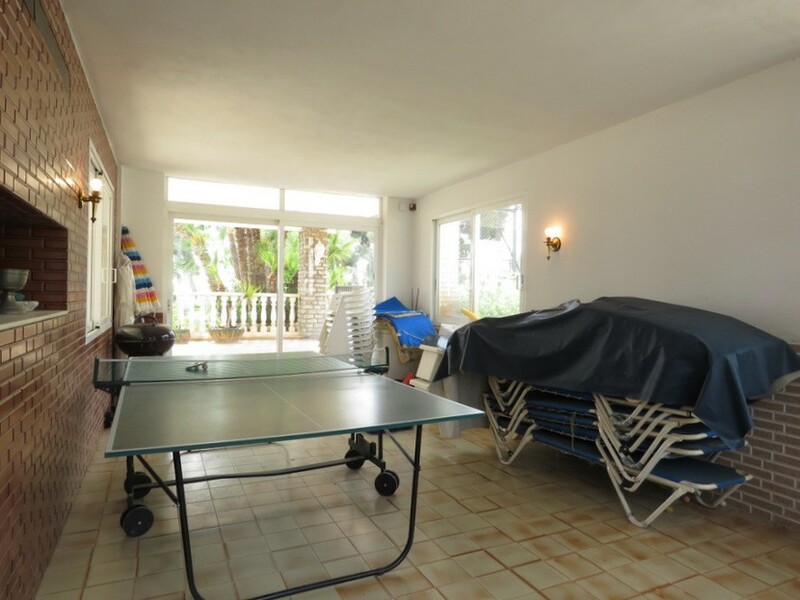 Just behind here is the incredible 20 x 7 metre swimming pool, with shallow and deep ends and a diving board, whose filtration and cleaning kits are stored in a pump room under the pool. 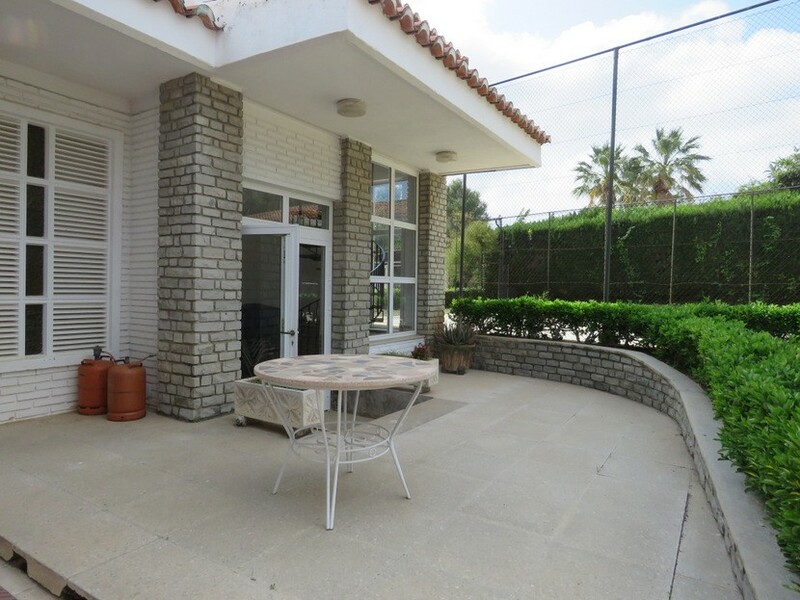 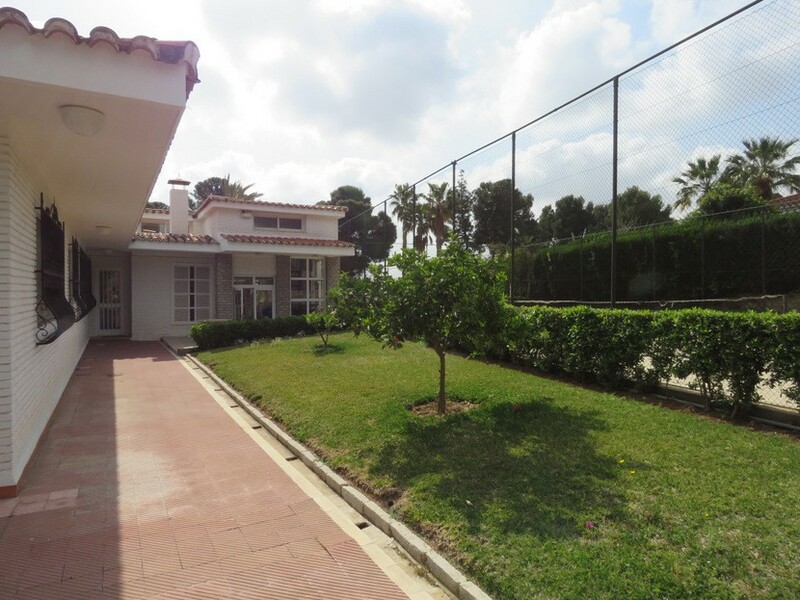 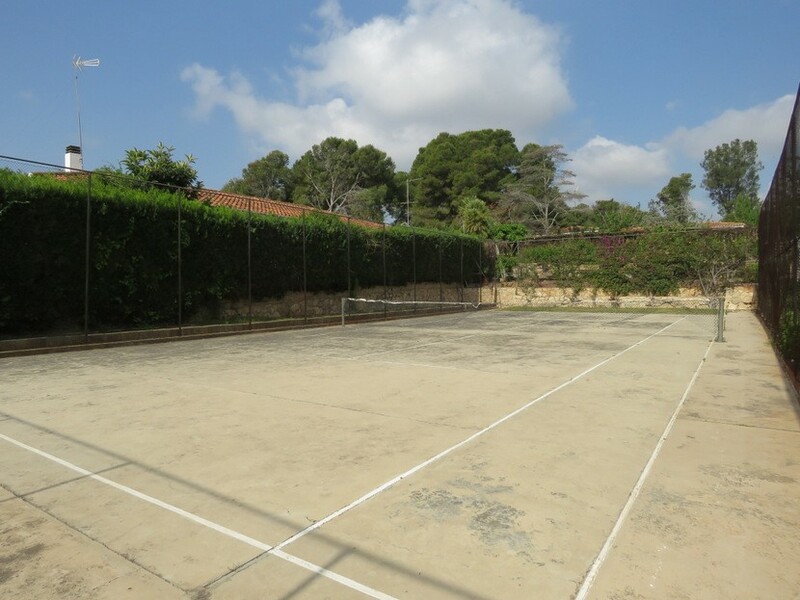 Just behind the swimming pool and we have the property´s private tennis court. 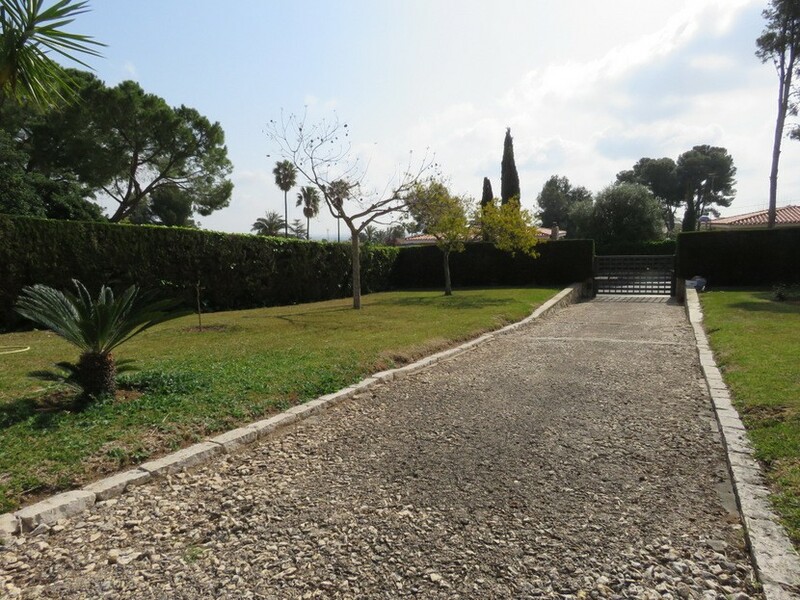 To the front of the property and we have the long, gated driveway, which provides secured off road parking for many cars. 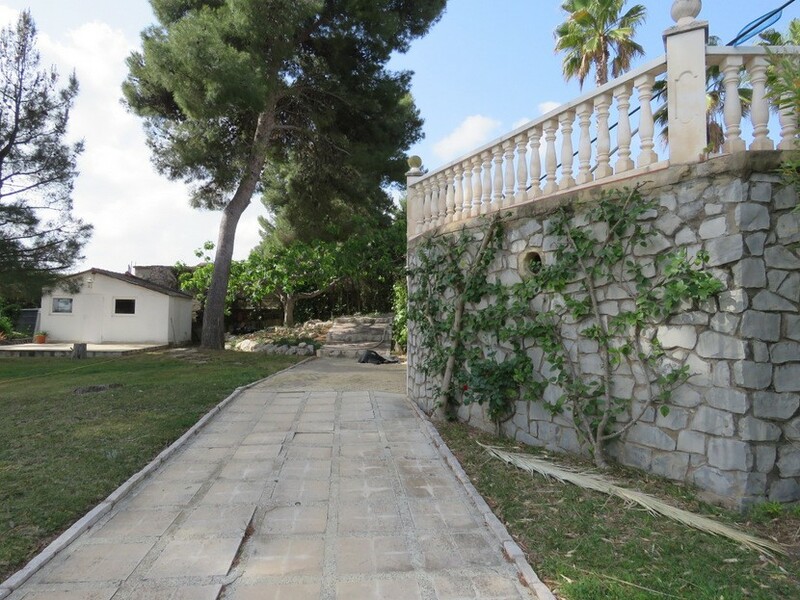 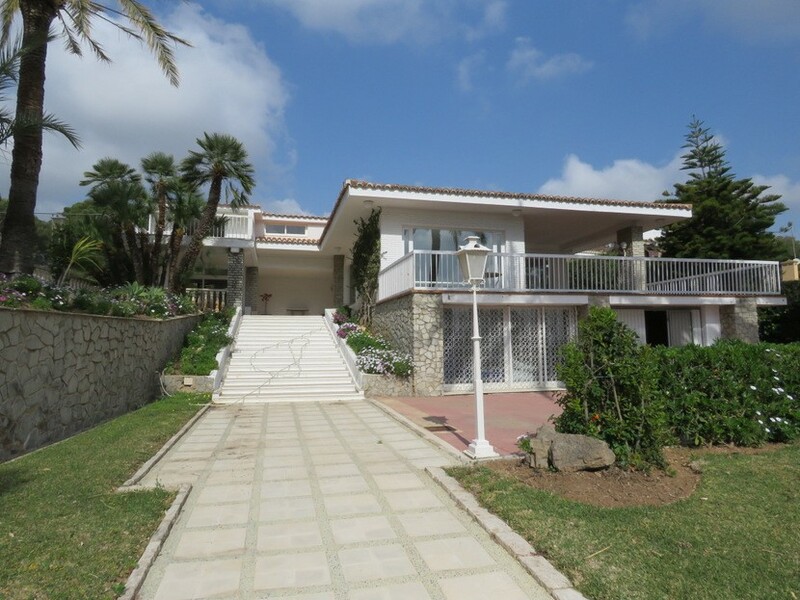 The owners love – “The grandness of this property is what first attracted us to buying this property when we were in the UK looking to buy in Spain. 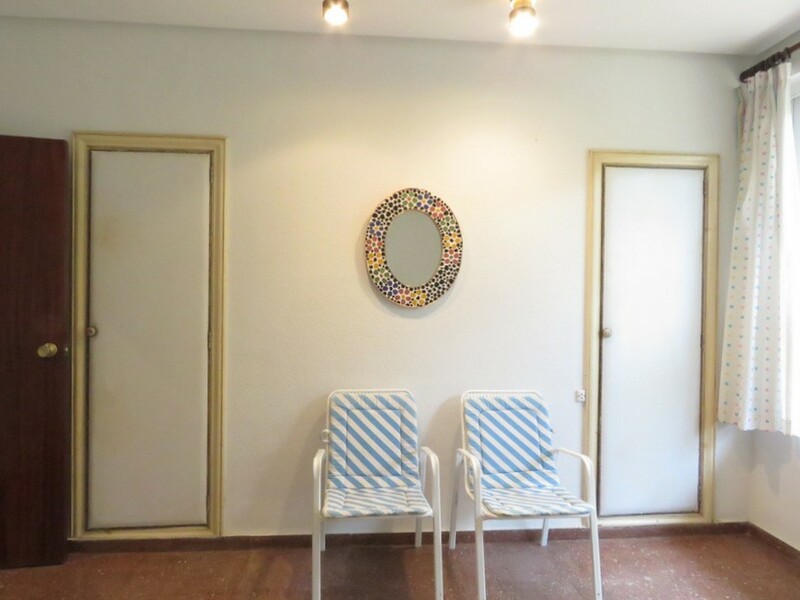 We have had some wonderful times in this house over the years and it really has served as a haven to escape the routine for the whole family, but now it´s time for us to let another family make their own memories here”.